I think the members of Electric Light Orchestra would be the first to tell you that they really never considered themselves or their music to be genuine prog rock. The fact that they so efficiently incorporated symphonic elements into their songs qualifies them as prog related, though, and I'm glad they're included in this prestigious club. This is the album that really vaulted them up the charts and into the rock and roll hierarchy in the midst of the seventies. It's a well-crafted recording that showcases leader Jeff Lynne's obvious admiration for The Beatles and the songwriting craftsmanship of the 50s and early 60s that inspired them. The wonderful cover with the group's logo done up like an old Wurlitzer jukebox says volumes about their approach to making records. One of the things that Jeff carried over from his days with Roy Wood in "The Move" was their delightful sense of humor and willingness to freely incorporate vastly different styles of music into their tunes and that spirit is evident on "A New World Record." The album starts off with an ominous, dark theme that alternates back and forth with a happy-go-lucky rock and roll motif throughout "Tightrope." This displays (much better than I could ever convey with words) their unique ability to manipulate contrasting moods, creating a sound that no other band had or will probably ever have again. And in the wild and wooly mid-seventies the ability to stand out from the herd was crucial to a group's success. If you take the time to listen to the lyrics, however, you'll discern the desperation and emptiness that epitomized millions of baby boomers who were finally facing the Big 3-0 in lines like "when I looked around/I was heading down/won't somebody throw me down a line?" It's easy to overlook the artistry of the massively overplayed "Telephone Line" but if you stop and listen intently you'll re-discover its magic. The set up with the ringing phone signal is very effective and Lynne's altered voice singing to no one epitomizes a sadness that many of us can relate to. Here he incorporates old school doo wop background vocals to manufacture a catchy pop song that will stick in your head the first time you hear it and remain there for the rest of your life. It's a classic heartbreaker, especially with his end verse of "Okay/so no one's answering/can't you just let it ring a little longer?/I'll just sit tight/through shadows of the night/let it ring forevermore." You gotta love the "let's not take ourselves too seriously" false start by the female opera singer on "Rockaria!" Most other groups would have edited that out but this fun bunch thought it was perfect, as do I. Here they joyfully blend operatic sensibilities with a Jerry Lee Lewis style of rock & roll and grin-inducing lyrics like "she's sweet on Wagner/I think she'd die for Beethoven/she loves the way Puccini lays down a tune/and Verdi's always creeping from her room." The next song, "Mission (A World Record)," is the closest they venture to being progressive as it begins with a spacey aura that somehow manages to segue into a funky, clavinet-driven beat. Despite drummer Bev Bevan's embarrassing attempts to ruin the mood it's a sobering look at our planet earth with Jeff assuming the role of an alien observer who can't do anything to help us because his "orders are to sit here and watch the world go by/from the mission of the sacred heart." "So Fine" lifts things back up with what I call Caucasian Motown music as Lynne pays tribute to that soulful genre, complete with recurring, Pips-like "Woo Woo's." I hate to rag on the poor, talent-deficient Mr. Bevan again but the percussion break (that I assume he was in charge of producing) has got to be one of the lamest you'll ever hear. Thank God it doesn't go on for more than a few bars. The highly recognizable Spanish violin intro to "Livin' Thing" follows and what can I say? 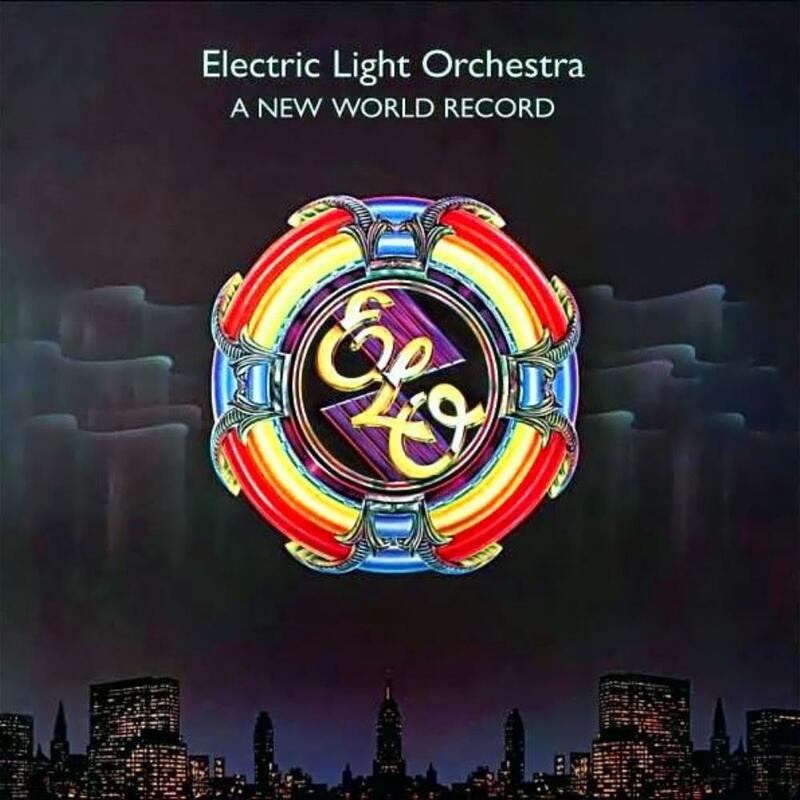 It's an expertly composed, memorable pop hit that kept ELO on the radio constantly in 1976 and helped to propel this album's sales through the roof into the platinum stratosphere. It's about as far from prog as you can get but it's hard to criticize success on that scale. Next is "Above the Clouds," a nostalgic, 40s-sounding tune that has a cool, sophisticated chord progression. The song sorta sneaks up on you, and then disappears before you know it. I appreciate that Jeff knew he had a smash tune just sitting in his back pocket with "Do Ya" but I will always prefer the rough, punkish, original version that The Move recorded. I also realize that if not for this cleaned up revision only a miniscule percentage of the population would know classic lyrics like "In this life I've seen everything I can see, woman/I've seen lovers flying through the air hand in hand/I've seen babies dancing in the midnight sun/and I've seen dreams that came from the heavenly skies above/I've seen old men crying at their own grave sides/and I've seen pigs all sitting watching picture slides/but I've never seen nothin' like you." Yep, they don't write 'em like that anymore, by golly. I'm glad that Jeff kept the arrangement intact and only added the tasteful, radio-friendly ending to this monster of a song. "Shangri-La" provides a somber finale to the album with a terrific melody that is a throwback to the fifties once again. It's another number about a broken-hearted man whose love has gone away and "faded like The Beatles on Hey Jude./she seemed to drift out on the rain/that came in somewhere softly from the blue." They gradually transition back into the album's opening theme and the opera lady reprises her brief role as they tactfully tie up the loose ends and give the listener a satisfying sense of completion. ELO has always been a source of simple, uncomplicated enjoyment for me with their tongue-in-cheek, quasi-pretentiousness and sometimes frivolous attitude but, when all is said and done, they did produce excellent pop music with an eccentric flair that kept things from getting too stale on the Top 40 list. If you were to only own one album by this band this one might be the most representative to have in your collection. 3.4 stars.